While the E5 Play has a 5.2" 720p screen in a 16:9 aspect ratio, the E5 Play Android Go (why couldn't they just call it "Moto E5 Go"?) comes with a 5.3" screen of unknown resolution in an 18:9 ratio. And while the standard Play has 2GB of RAM, we're assuming that the Go model has 1GB given that's the limit for Android Go devices. The two still share the same basic design, though, as well as a rear-mounted fingerprint sensor (underneath the Moto logo), an 8MP rear camera, and a 5MP front-facing camera with flash. The E5 Play Android Go will be available in European and Latin American markets starting tomorrow, July 14th. One Motorola source says that the Go will start at €109, though a UK source tells us that it'll start at £69 for prepaid versions and £89 for SIM-only models at O2, EE, Three, Carphone Warehouse, Tesco, Amazon, and Argos. You'll have a choice between black and gold. Our moto e family is growing again. With moto e5 play1 with Android™ Oreo™ (Go edition), our commitment to creating smartphones with the features you want at a price you can afford continues. Enjoy a smartphone that delivers a worry-free experience and the performance, protection and value you want. Packed into a compact design, the 5.3" Max Vision display gives you an expansive view while the 18:9 aspect ratio helps you see more at a glance. Don’t bother with a passcode. Just touch the fingerprint reader to wake up and unlock your moto e5 play instantly or to lock it back up again. The reader is discreetly located within the phone’s Motorola logo, so you hardly know it’s there until you use it. Using autofocus technology, the 8 MP rear-facing camera focuses in an instant, so you don’t miss a thing. And let’s not forget selfies. moto e5 play features a 5 MP selfie camera with its own flash, so you’re always seen in the best light. The moto e5 play will be available from the 14th July 2018 in colour variations of black and gold at the following stockist; O.2, E.E, Three, Carphone Warehouse, Tesco, Amazon and Argos. Pricing starts at £69 for pre-pay or £89 for SIM only. For more information, product loans, images, or interviews with the Lenovo Mobile Business Group / Motorola please contact [email protected]. Motorola Mobility LLC was acquired by Lenovo Group Holdings in 2015. 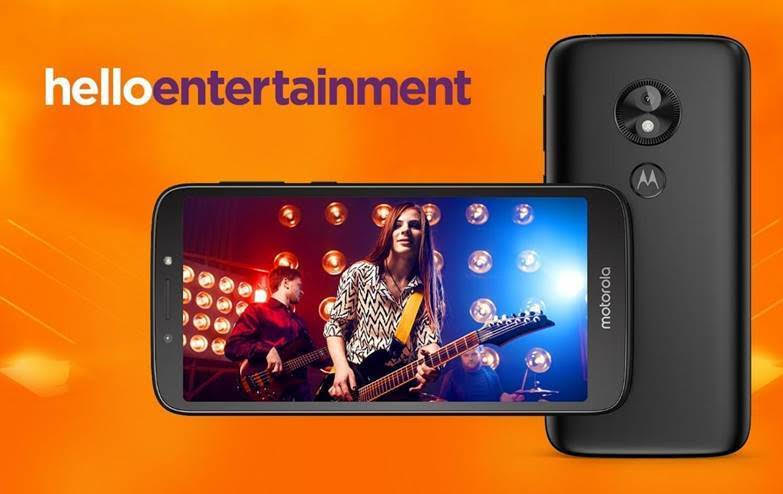 Motorola Mobility is a wholly owned subsidiary of Lenovo and is responsible for designing and manufacturing all Moto and Motorola branded mobile handsets.